A three-year-old boy who was abandoned at a Surrey, B.C. bus stop has been reunited with his mother, and charges are pending against his father, said police. 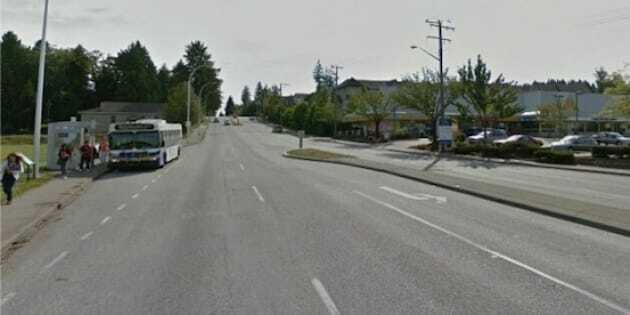 Surrey RCMP received several 911 calls on Saturday morning from witnesses who said they saw a man push and hit the boy in the face. The man then got on a public bus and left the child behind, said a news release. He appeared to be the child's only caregiver at the time. Some witnesses took the boy across the street to a liquor store, where Lucy Ingram and a co-worker took care of him until authorities arrived. When he was found, the boy's feet were soaking wet and he was wearing swim trunks, a T-shirt, a summer jacket, a toque and one mitten. "We were trying to get him to say anything, but he didn't say anything, not even a word for over an hour and a half," Ingram said. She said another customer posted the boy's photo to a community Facebook page, hoping it would help identify him, reported CBC News. Most images on social media were taken down after he was identified. "The amount of people that came in just from the Facebook page to bring him teddy bears, little dinosaur toys... That perked him right up when he saw the dinosaur toys. From there on in his name was 'dinosaur.' That was all he would say," Ingram said. Another customer drove home and came back with sweatpants and a hoodie for him to wear, she added. Police say they got a report from a woman who said she was on a bus to Langley with a man who was rambling about missing his child, RCMP Insp. Bruce Stuart told Global News. The father, a Surrey man in his 40s, was arrested and is facing charges of assault, child abandonment, and theft. It's also alleged he was caught on security video stealing juice from a nearby convenience store shortly before the incident at the bus stop. Police felt it was safe to return the boy to the mother's care but the ministry will keep its file open, said RCMP Staff Sgt. Joe Johal.